An image from the "Yokai Exercise Number 1" closing theme. Yo-Kai Watch is a 2014 Japanese anime based on the video game released a year prior by Level 5. The show focuses on a young boy named Nathan Adams (Keita Amano in Japan) who finds a capsule machine in the forest that summons a ghost companion named Whisper, who gives him a watch that enables him to see Yo-Kai: imaginary creatures who cause problems for human beings. 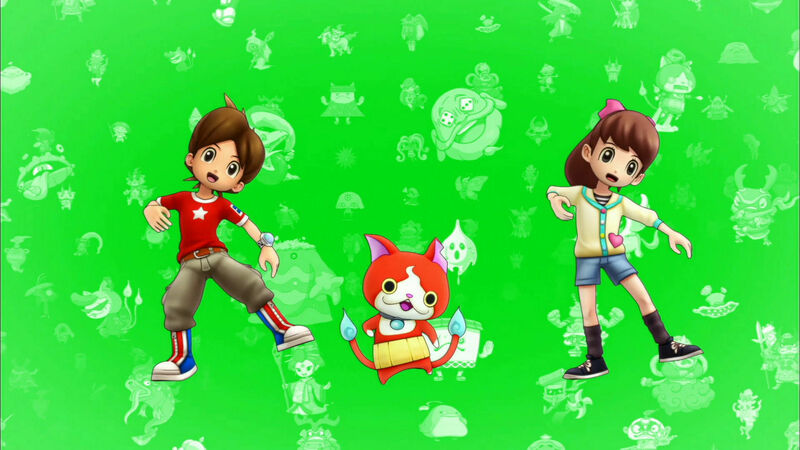 One of the most well-known parts of the show is a dance called "Yo-Kai Exercise Number One" (Youkai Taisou Daichii in Japanese), which is done by the cast during the end credits of each episode, and was one of four Japanese songs from the show that were dubbed into English. Before the show hit the American airwaves, a completely different version of the song that uses alternate lyrics was recorded. The song played in a Hasbro video introducing the show to American audiences, as well as at an event at Moshi Moshi Nippon LA, which are the only pieces of evidence that this earlier version existed. The first video only plays 10 seconds of the song at the end with people talking over part of it, while the video taken at Moshi Moshi Nippon has the first few seconds cut off and audience members talking over it. A Reddit user also transcribed the lyrics of this version of the song using the two aforementioned videos. It is unknown if the earlier version the song will ever be released to the public. Yo-Kai Yo-Kai Yo-Kai please help me! Thanks to the Yo-Kai Watch and me! Who wakes up with the chickens? Who works out like the chickens? Yo-Kai won’t you please come play with me? Kids? Are you ready? Okey dokey! The Hasbro video which uses the song (begins at 2:46). The Moshi Moshi Nippon LA video. The final version that wound up being used in the show. ↑ A Reddit thread on r/yokaiwatch that gives the English lyrics to early version of the end credit's theme.